"Heinz Steinmann's paintings seem to have an otherworld mystic quality to them while still being recognisably Australian." 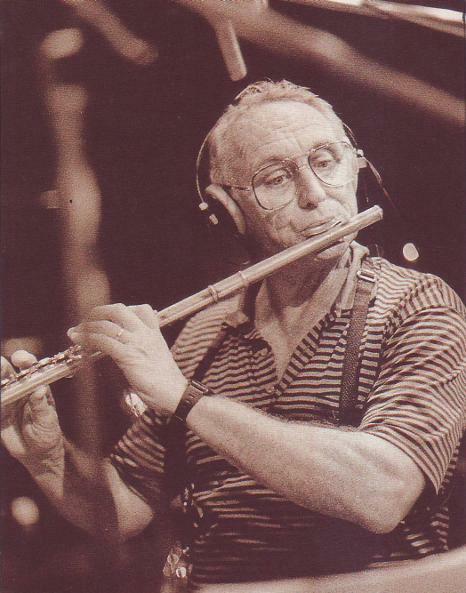 You can listen to the title track "Babinda" with Don on alto flute and Julian Lee on piano with the Sydney String Plus Orchestra. The "Babinda Trilogy" 3CD set are with Orchestra, Duets and Quintet with Don Burrows, George Golla on guitar, Julian Lee, piano, Craig Scott, bass and David Jones, drums. Swiss born Artist Heinz Steinmann celebrates 45 years as full-time artist in his beloved far North Queensland. 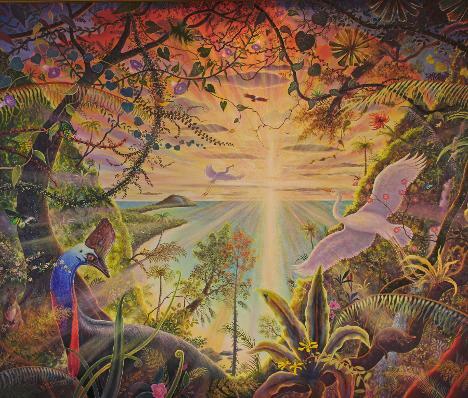 His paintings are best known as poetic interpretations of the tropical rainforest; Babinda, Port Douglas and the landscapes and characters of the Gulf Country and the Cape York wilderness, including Jowalbinna. Over the past five decades Steinmann has long become one of Australia's widely recognised artists with many successful solo exhibitions in the leading galleries of most states.These included The Australian Galleries, Melbourne; Holdsworth and Wagner, Sydney; Lister, Perth; Solander Canberra; Schubert, Gold Coast ; Adrian Slinger and Philip Bacon in Brisbane. Heinz Steinmann also achieved considerable acclaim in Europe with important exhibitions in Zurich, Inverness and Munich together with the ZDF television documentary of his life and work. 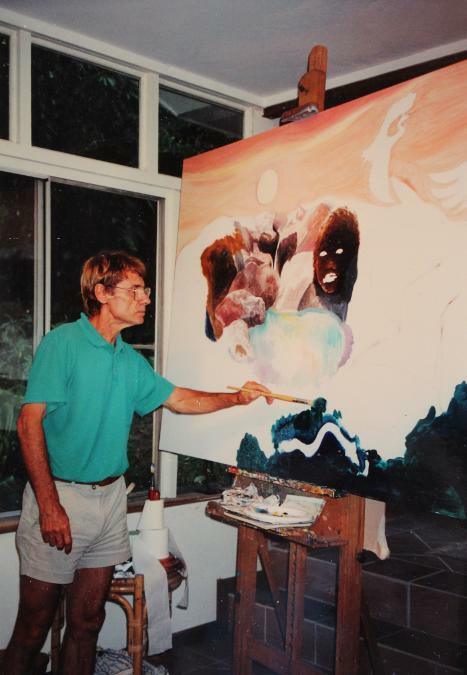 From crocodile hunter to renowned painter ; go to "ABOUT ARTIST"